Preparing for the upcoming winter snow sports season is exciting for me this year. Sure, go ahead and ask why. Well, since you insist, let me tell you about my new robot. It all started when I was getting our summer gear put away and the winter equipment out. I thought about taking ski lessons this year, something that is well overdue. I usually make it down the hill okay, but it’s not pretty to watch. After checking on lessons, I saw an ad for a new android that was advertised as providing a more informed and better quality skiing experience. It was a bit pricey but sounded like just what I needed. Ordered one. The gizmo arrived in a small package, about the size of a saucer. It already had a name “Wons.” Apparently some play on the word “snow.” I powered up and programmed the robot to be familiar with our home and my outdoor winter activity preferences. Soon, Wons was hovering over some boxes in the garage and making weird sounds. Upon investigation, I found my old ski boots and three pairs of ski socks never opened from Christmas past. Oh, and those goggles? Wons sputtered and spun around in crazy motions as it viewed and analyzed this important piece of equipment. “Scratched, unsuitable lens, no UV protection,” it announced in computer monotone voice, sounding like a cross between Willie Nelson and Elmer J. Fudd. And those boots? Don’t bother to take them out of storage. The socks and gloves had to be discarded also, and replaced with pairs which had computer chips to make temperature adjustments as conditions changed. After a few hours shopping with Wons, I was completely outfitted and updated for the season. All the latest in gizmos and technology. The styles would of course allow us to ski at Big Sky if necessary. 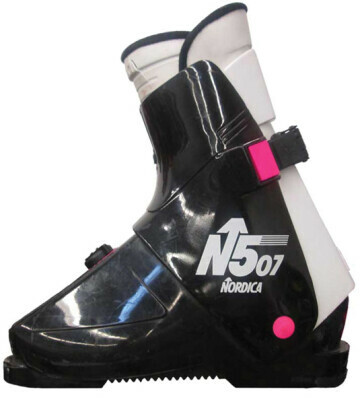 The ski pants and boots had sensors to detect if I was skiing out of control or above my computed ability level. If I make too many wild and crazy moves, the sensors send messages to the skis, which would then switch to “auto mode.” All I have to do then is go along for the ride, the skis doing all the proper turning and adjusting. No hassle, no worry. The new pants, gloves and socks had regulators to keep me comfortable, no matter what the conditions. The clothing even changes colors as necessary to keep up with the latest in fashions on the slopes at Big Sky. I am also looking great for the après ski gathering at Chateau de Faux Fur. The big day arrives. Wons accompanies me on a test run to Bridger Bowl to make sure everything is working right. At 5:45 a.m., my alarm goes off. It was preset by the android to allow time for my pre-ski stretching and warm-up exercises. The equipment is neatly arranged by the back porch, all inventoried, inspected and adjusted as I slept. After a high-protein breakfast, with a menu developed by you know who, we are ready to head out. My technological marvel tracks the weather conditions in town and on the hill several times a minute. Clothing and boot variables are being fine tuned every six seconds as we travel. We drop off the gear near the ticket booths, and Wons directs the car to a convenient parking spot. Before we get on the first chair, Wons does a moisture test on the snow at the various runs. The remote sensors have already returned some initial data. After a few calculations, the device announces that we will first ski Pierre’s Knob, as the snow will be perfect at that run for the next thirty-three minutes. Big problem for me, as my skiing ability is “green run” style, and I prefer Sunnyside. Wons sends a few commands to my skis, and advises that they will be on auto pilot all the way. Just as we get ready to board the Virginia City Chairlift, Wons pulls us from the line. The computer shows that the lift line at Deer Park is thirteen minutes long. That will be too long of wait for my leg muscles according to the computer analysis, even with the heated ski pants. We head back to Jim Bridger Lodge to do some more warm ups. Unfortunately, on the way, my boot computer indicates a sensor malfunction. Wons is trying to compute a by-pass program until a new chip can be installed. It determines that a replacement chip can arrive by special Fed Ex delivery at 2:21 pm, and Wons immediately puts in the order and makes a temporary fix until it arrives. We are back in the lift line. I am informed by the bot that we cannot do Pierre’s Knob because the snow conditions have deteriorated. Everyone is enjoying the runs and even some cold smoke. I am thinking that it would sure be nice to join them. This hanging around doing nothing is getting irritating to put it mildly. A new run has now been chosen. I’m looking at the bot and shaking my head “No, no, no.” I will not do Schlasman’s, even on auto pilot. Wons is spinning in frantic circles, as this reluctance on my part does not fit into the program for the day. By now, it’s my pre-scheduled lunch time. The kitchen staff whispers that they received a text ordering me a bowl of chili, so that’s what I have. Sorry, they say, the text said no fries. I’m hungry for an order of those delicious cheese fries and detect a foul mood coming on. We decide to wait for the boot chip to arrive from Fed Ex. It arrives, and Wons has everything in perfect working order in no time. However, it is now snowing heavily, and I think we should be heading toward Bozeman before the roads slick up. Skiing? Guess that will be for another day. Right now I just want to get home, disable this omniscient thing and pack it in a secure box. The device is already analyzing snow conditions and weather for tomorrow. I don’t have the heart to express my intentions, but the gizmo is making very strange sounds like it is reading my mind. George Orwell was right, Little Brother is watching. Tomorrow, I’ll be on the Moose Meadows slope by my customary 10 a.m. Old boots, skis, pants and socks. Just feeling the snow hitting those scratched lenses. Free again! Next year, I’ll take some ski lessons for sure. Wons? It will be safe and secure in its box. Jerry Schuster is a "semi-retired" attorney who moved from Wolf Point to Bozeman in 2013. I enjoy reading good books, writing for work and fun, and "things Bozeman".